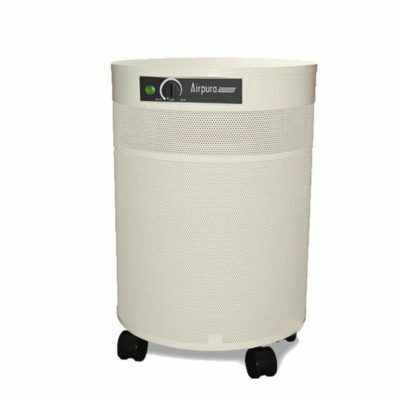 The Airpura V600 HEPA Air Purifier includes 18 pounds of enhanced activated carbon filtration that is treated with potassium Iodide that allows for a higher level of pet odor control especially for urine odors and it will also adsorb more chemical out-gassing from newer carpeting, home furnishings and pesticides. Free Shipping In The Continental U.S.A.!! This Airpura V600 HEPA air purifier is almost the same as the Airpura R600 all purpose HEPA air purifier. The big and only difference is that this unit includes 18 pounds of enhanced activated carbon filtration that is treated with potassium Iodide that allows for a higher level of pet odor control especially for urine odors and it will also adsorb more chemical out-gassing from newer carpeting, home furnishings, and pesticides than the regular all purpose untreated activated carbon of the R600 unit. The V600 HEPA air purifier is totally sealed against leaking any dust or allergens back into the indoor air while operating and its high-quality HEPA filter is 99.97 percent efficient down to .03 microns of particle size. This makes this unit Ideal for people with dust allergies, asthma or COPD when they are living in a shared environment with pets that they are reacting to or if they are living in an environment with a noticeable amount of odors and or chemical out-gassing! The Airpura V600 HEPA air purifier is also very good for people that are incontinent while living at home or in a nursing home. When this air purifier is operating it will show a noticeable difference for pet odors, pet allergens, outgassing chemicals and other allergens in open areas that are just over 1000 square feet in size. 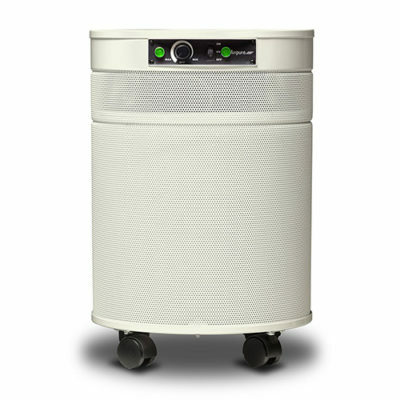 However in smaller areas that are the size of a large master bedroom or a nice size office space the V600 HEPA air purifier is able to do a significantly better job of cleaning the air in areas that are approximently 200-250 square feet with up to 13 air exchanges per hour through the air purifier to provide clean allergen free fresh air! 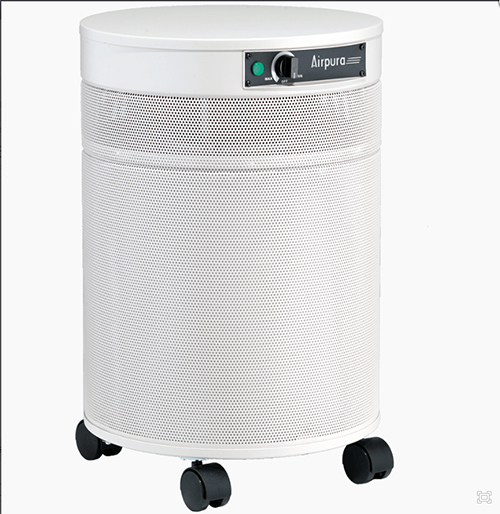 The HEPA filter in the Airpura V600 HEPA air purifier is 99.97 percent efficient down to 0.3 microns in particle size. 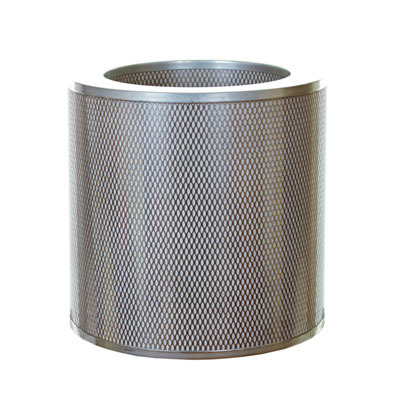 This HEPA filter is 100 percent sealed against leaking any dust or allergens back into the indoor air environment when operating and both the top and bottom of the filter is sealed with metal caps to make sure that no leakage occurs. The HEPA filter in this unit will perform to these standards for up to 5 years before replacement is necessary. The cleanable pre-filter will protect and add years of filtration life to the HEPA filter by catching the larger particles and reactive pet allergens to allow the HEPA filter to be replaced just once every five years. 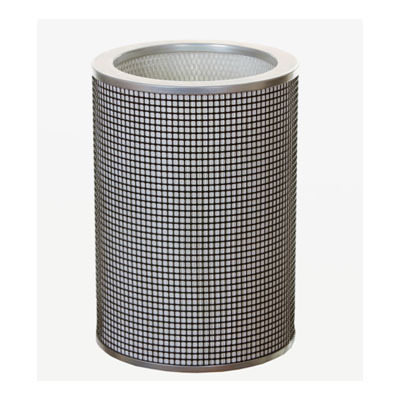 The inexpensive pre-filter can be kept clean by vacuuming it off once or twice a month right through the perforated metal case of the air purifier. This pre-filter should be replaced only once a year. The Airpura V600 HEPA air purifier includes a generous 18 pound enhanced carbon filter that is made of a high-quality coconut shell carbon that does an incredibly good job of absorbing and removing any out-gassing chemicals, pet and urine odors from your indoor air environment.This hefty 18-pound carbon filter will often last up to two years depending on the amount of out-gassing chemicals and pet odors in your indoor air environment. 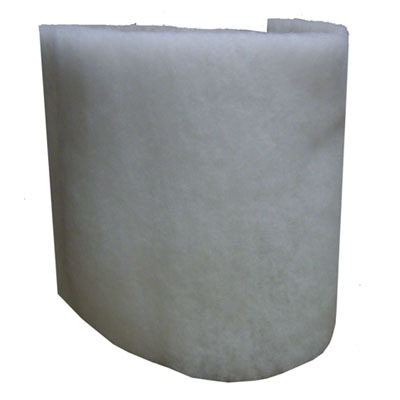 Replace this carbon filter when you smell odors coming from the HEPA air purifier because this means that the carbon filter can no longer absorb out-gassing chemicals and odors. The variable speed blower motor allows the operator to adjust the blower motor speed to adjust the air flow rate and level of desired air filtration in the room or open space being cleaned. The decibel level of this air purifier is an extremely quiet 28.1 on its lowest speed and 62.3 when its turned all the way up to high speed. Medium range speeds are still very quiet! 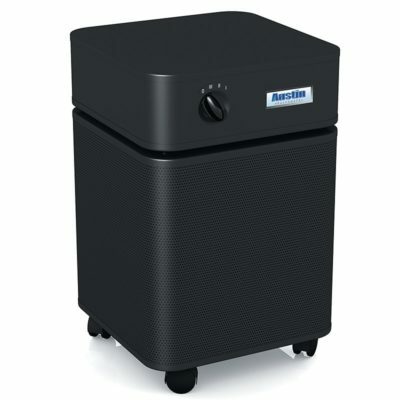 The air flow rate of the Airpura V600 HEPA air purifier adjusts up to 560 CFM (Cubic Feet Per Minute) with the filters and carbon not installed into the unit and between 420-440 CFM with the sealed HEPA filter, pre-filter and activated carbon filter installed as it normally will be when operating this HEPA air purifier. NOTE: This 420-440 CFM rating is close to double the CFM when compared to the other high-quality air purifiers on the market! It is important to realize that all portable HEPA air purifiers are for single room use and they will do a much better job of cleaning the air of dust, pet allergens, chemical out-gassing and other common allergens far better if they stay in the room(s) that is targeted to keep clean and allergy free! It is recommended for home use that one unit is placed to operate in each bedroom for anyone that is suffering from allergies, asthma, or COPD. For better coverage, a (second) HEPA air purifier should be placed in the family room, den or in any other main living space where the family spends the majority of their time. This way people can move from one clean allergy free room to another. These air purifiers are also perfect for keeping the air dust and allergy free in office’s areas and basement recreation rooms, movie rooms, game rooms or man caves, especially if the family pets share these spaces! Please know that Airpura V600 HEPA air purifiers are made to operate non-stop all year long and they will keep your indoor air quality clean and allergen free for many years to come. The electric cost of operating each air purifier around the clock every day is only about $35.00 per year. IMPORTANT TO NOTE: Customers concerned about the added ability for removing and controlling mold spores, bacteria and viruses should check out our Airpura UV600 air purifier with non-ozone producing ultraviolet light system! Office spaces attached to dusty factory production areas that use toxic out-gassing chemicals. Homes and businesses that suffer from chemical dusting and pesticide spraying in farm areas. Case Housing & Wheels: Steel construction that is powder coated and not painted to prevent chemical out-gassing. Case housing is mounted on 4 easy to roll caster wheels. Case Housing Color Choices: White, black and cream color which is a light beige color and unquestionably the most popular color because of it best match’s shades of wood grain furniture. Watts: 120 Watts on high speed down to 40 Watts on low speed. The average energy consumption cost is $35.00 per year when running the air purifier non-stop!